Stabilized and Non-Stabilized Connectors shift radial stress. Available in 3 3/8 in. and 5 in. lengths, SZ Series Connectors are designed to reinforce entire installation by shifting radial-stress load away from NPT connections. Units come in zinc-nickel plated carbon steel and 316 stainless steel, with slotted bolt holes that allow for 2 1/8 in. and 2 Â¼ in. bolt spacings. Available as option, single piece dielectric gasket creates non-conductive shield between process piping and instrument. 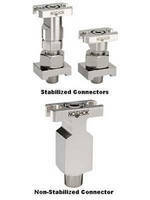 Berea, Ohio -- NOSHOK accounces the availability of our new SZ Series Stabilized and Non-Stabilized Connectors. 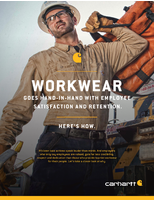 These connectors are designed to reinforce the entire installation by shifting radial-stress load away from the NPT connections, and are available in 3-3/8" and 5" lengths. NOSHOK SZ Series Stabilized & Non-Stabilized Connectors are available in zinc-nickel plated carbon steel and 316 stainless steel, and feature slotted bolt holes that allow for 2-1/8" and 2-1/4" bolt spacings. A new single piece dielectric gasket (DK1) is now available as an option to create a non-conductive shield between the process piping and the instrument. A two piece dielectric kit (DK2) is also available as an alternative when a separate sealing gasket or o-ring is required.